Fox’s smash television series Empire is now casting rappers for scenes in an upcoming shoot in Chicago. Casting directors are looking for male teenage rappers and beat boxers for the scene. Casting directors are requiring that you include a video of your skill with your submission. 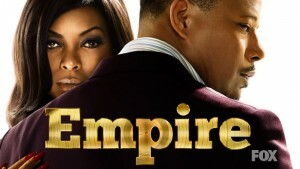 Fox’s drama series, Empire, centers around a family that is involved in the hip-hop music industry. Each family member is in a constant battle for control of the media giant, named Empire Entertainment, pitting mother against father and brother against brother. The series stars Terrence Howard (Hustle & Flow) and Taraji P. Henson (The Curious Case of Benjamin Button) as the two founders of the company. Empire was created by Lee Daniels and Danny Strong. CASTING CALL: We’re back for EMPIRE SEASON 3! SHOOT DATES: It will be a 1 day shoot that will fall sometime between Thurs., 7/7 – Mon., 7/18. We will be filming on a Monday-Friday schedule. Male, African American, Ages: 13 to 18 yoa. We are looking for teenage boys that know how to proficiently beat box and/or know how to rap. You must be attach a video of you beat boxing/rapping in your submission. *For minors 15 and under – if cast, you must have a valid IL work permit with either 4 Star Casting or a local talent agency. It’s a plus if you already have work permit through 4 Star Casting or a local talent agency and if you do, please list the name of the employer in your submission. If you DO NOT have a work permit yet and you are a real beatboxer/rapper, please still submit. If cast, you MUST get an IL Work Permit. 4) Send 2 RECENT candid photos in jpeg format (both close up and full length). Make sure the photo is taken in decent lighting (no selfies), no sunglasses, no hats! Show us your style but make sure we can see your face! The better the photo, the better your chance of being submitted. Most importantly… NAME YOUR JPEG WITH YOUR FULL NAME. 5) If 15 or younger – please list if you have a current IL work permit through 4 Star Casting or a local talent agency and list the employer on your Work Permit. If you DO NOT have a work permit yet, please let us know that as well. 6) Confirm that you have experience beat boxing and/or rapping experience and attach a video of you performing. We will let you know if you are in consideration!